Gallagher Exceeds 90th Anniversary 90,000-Hour Volunteerism Goal | Arthur J. Gallagher & Co.
ROLLING MEADOWS, Ill., Oct. 3, 2018 /PRNewswire/ -- For more than 90 years, Gallagher, a global insurance brokerage, risk management and consulting services firm, has advised, protected and helped companies in local communities grow and succeed. To celebrate the company's 90th anniversary, Gallagher employees across 34 countries were encouraged to volunteer as a way to give back to these communities. Today, Gallagher announced that it exceeded its goal of 90,000 hours of volunteerism. Thanks to the efforts of more than 27,000 Gallagher employees, the company reached 112,706 volunteer hours between Oct. 1, 2017 and Oct. 3, 2018. "During the past 90 years, Gallagher has expanded greatly and adapted to the dramatic transformations in society and in the business world. What hasn't changed for us is our unwavering focus on clients and giving back to the communities in which we live and work. This is our rich heritage and in our DNA," said J. Patrick "Pat" Gallagher, Jr., Gallagher Chairman, President and Chief Executive Officer. "True to our values and culture, it was fitting to mark this special milestone by supporting communities around the globe through volunteerism and giving to charities and causes near and dear to our employees and clients." Some volunteer examples include: 140 students in India were provided dictionaries; in the United Kingdom, more than $50,000 dollars was raised for cancer research during a 170 mile bicycle ride; hundreds of books and essential supplies were donated to Rwandan students; in Australia, employees participated in "Daffodil Day" with the Cancer Council; and more than 200 gifts were collected for a toy drive and delivered to Goodwill Industries in Boston, Mass. 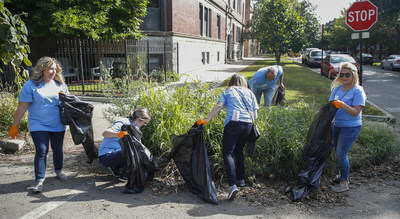 Today, in conjunction with the Chicago Cubs partnership, Gallagher fulfilled its 90th year of volunteering and giving goal at Gallagher Way where Chicago Cubs Chairman Tom Ricketts, former Cubs player Ryne Sandberg and Pat Gallagher joined more than 500 Gallagher employees in a neighborhood beautification project in the Wrigleyville neighborhood. "My deepest appreciation and admiration to all of our colleagues who helped make a difference and exceed our goal of 90,000 hours this past year. It is through their dedication and actions that Gallagher's unique culture and enduring values are evident in communities around the world ‒ both in how we conduct business and serve those in need. 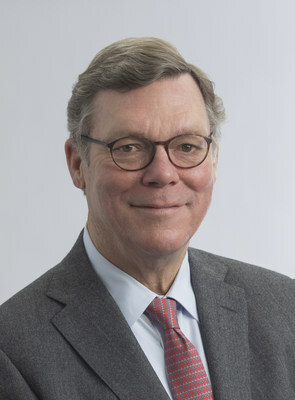 As we look forward to the next 90 years, we are confident this strong foundation and our passion for client success will create new opportunities for communities and organizations of all sizes…and we're just getting started," said Gallagher.